Mark Lanterman is the Chief Technology Officer of Computer Forensic Services. Before entering the private sector, Mark was a member of the U. S. Secret Service Electronic Crimes Taskforce. Mark has 28 years of security and forensic experience and has testified in over 2000 cases. In addition to providing you with a profile of our firm and the services we provide, this Website has been designed to become a helpful resource tool to you, our valued clients and visitors. Our dedication to superior client service has brought us to the Internet as we endeavor to continue to provide the highest quality professional service and guidance. At Woodrum, Tate & Associates, PLLC we're fluent in the significant, elegant language of financial opportunity. That's why, as a full-service financial consulting and accounting firm, we can provide services far beyond those of a traditional Certified Public Accounting firm. As you browse through our Website, you will see that not only have we highlighted background information on our firm and the services we provide, but have also included useful resources such as informative articles (in our Newsletter section) and interactive financial calculators (in our Financial Tools section). In addition, we have taken the time to gather many links to external Websites that we felt would be of interest to our clients and visitors (in our Internet Links section). While browsing through our Website, please feel free to contact us with any questions or comments you may have - we'd love to hear from you. We pride ourselves on being proactive and responsive to our clients' inquiries and suggestions. Expert Witness/Consulting services are provided in motor carrier/rail administrative law; truck involved accidents; physical distribution management; shipping dock operations; regulatory compliance; transportation economics; motor carrier/driver safety and operations; freight broker operations; freight forwarder operations, passenger operations; loss and damage claims; contracts, rates and leases; warehousing and traffic management. Dr. Judy Roberts is a managing director in Grant Thornton’s Forensic & Valuation Services practice in Boston. She is a PhD economist with more than 20 years of combined academic and nonacademic experience, who has conducted numerous large-scale econometric studies on a variety of subjects and across a broad range of industries. She is experienced in statistical and econometric methodologies and is adept at applying these techniques to large, complex data sets. She has extensive experience applying these skills to litigation and other disputes involving securities and other financial markets, as well as in the pharmaceutical and life sciences industries. Roberts has assisted clients with regulatory, antitrust, contract and intellectual property disputes. Prior to entering the litigation consulting arena, Roberts was a professor of economics at California State University, Long Beach, and a visiting faculty member at University of Southern California. She has published research in leading economic journals, including the Review of Economics and Statistics, National Tax Journal and the Journal of Public Economics. Sensei Enterprises, Inc. is a nationally-known digital forensics, information technology and cybersecurity woman-owned small business, founded in 1997 by Sharon Nelson, a practicing attorney and John Simek, vice president. Sensei provides information technology to hundreds of businesses locally in the DC Metro area. Sensei provides digital forensics and cybersecurity services nationwide. Forensic psychiatry - Testified for the Defendant in Sate of New York v. Yoselyn Ortega 2018 - A general adult psychiatrist, as well as a forensic psychiatrist. I specialize in mood disorders, anxiety disorders, adjustment disorders, and post-traumatic stress disorder. I do machinery and equipment appraisals for litigation support as well as the usual reasons. Motorcycle Accident Reconstruction - Former police officer with 25 years of accident investigation experience. Motorcycle safety expert. 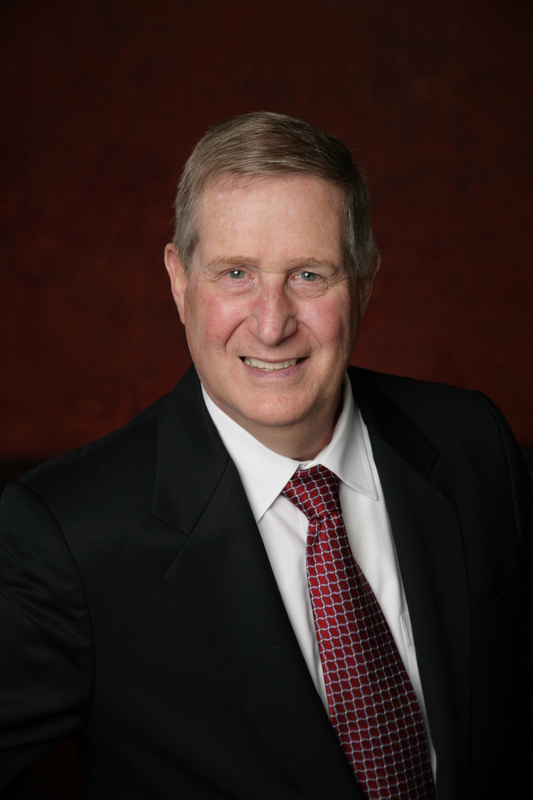 Dentistry - oral/maxillofacial surgery - Dr. Karel DeLeeuw is an oral & maxillofacial surgery doctor in Phoenix, Arizona. He received his medical degree from Texas Tech University Health Sciences Center School of Medicine and has been in practice for more than 20 years. Dr. DeLeeuw accepts several types of health insurance, listed below. Dr. Womack is an emergency medicine expert witness. He has work experience at a level 1 trauma center and its associated freestanding emergency room. Currently, he works full time in emergency medicine. Dr. Womack has worked in several hospitals. His previous experience includes working in a small rural hospital located in a town of approximately 42,000 people as well as serving as a flight physician. In practice for over eight years, he is board certified in emergency medicine by the American Board of Emergency Medicine. He is a fellow of the American Academy of Emergency Medicine which recognizes his expertise in pediatric, trauma, neurological, and cardiac resuscitation. Dr. Womack is also ATLS (Advanced Trauma Life Support) certified and has completed the Difficult Airway Course: Emergency ™. Dr. Womack is skilled in the utilization of video laryngoscopy for emergency airway management and has experience in performing bedside ultrasound procedures. Alabama Bariatrics, the office of W. Jay Suggs MD FACS FASMBS is a comprehensive weight loss surgery clinic located in Decatur and Madison. In addition to offering the laparoscopic sleeve gastrectomy, the laparoscopic gastric bypass, and laparoscopic adjustable gastric band, Dr. Suggs also does the nonsurgical Orbera intragastric balloon. Surgery is performed at Crestwood Medical Center and Huntsville Hospital, with minor outpatient surgery and endoscopy performed at Med Surg in Decatur. The Orbera intragastric balloon is done as a quick, outpatient endoscopic procedure at Med Surg in Decatur, as well as in Huntsville. Dr. Suggs has done over 1,500 bariatric operations and has had multiple publications. Although Dr. Suggs enjoys teaching medical students including being the director of the Huntsville campus of ACOM, his first love is improving the lives and health of people through bariatric surgery. Mr. Schuch is a Licensed Professional Engineer, an Assistant Professor of Medical Education at the University of Virginia, is the Director of Occupational Health and Wellness, and is the Health System's rehabilitation engineer. 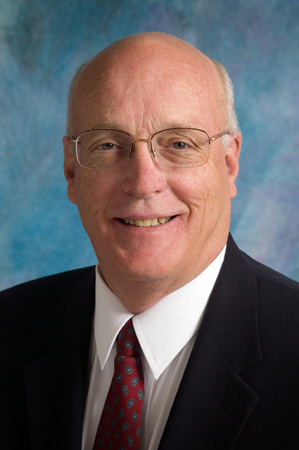 Throughout his career, Mr. Schuch has been actively involved in service delivery, education, and research related to assistive technology and rehabilitation engineering, with an emphasis on wheelchairs, specialized seating to manage posture and prevent pressure sores, and wheelchair safety. Mr. Schuch has consulted with government, industry, and non-profit organizations to improve the delivery of assistive technology services and devices to individuals with disabilities. Mr. Schuch is often called upon as an expert witness in cases involving wheelchair safety, wheelchair stability and related tipover accidents, walkers, rollators, hospital beds, pressure sores, burns, public and private wheelchair transportation, wheelchair securement in vehicles, ADA concerns, and patent infringement matters. Our forensic accountant and consulting firm is here to help you and your business. Whether it is providing forensic accounting services, litigation support services or expert testimony for attorneys and clients, or financial services to financial institutions, businesses and/or individuals, we are here to serve our clients first. We work proactively to avoid future pitfalls or we come in and clear up any issues that might be getting in the way of your goals and/or objectives. We assist in implementation as a partner, not an outsider​. We stand out among the forensic accounting firms and financial institution consulting firms because of this approach. " Industrial Ergonomics; Human Factors; Occupational Environmental Medicine. Expertise: Nearly 36 years of consulting on Safety and Industrial Hygiene cases related to Indoor Air Quality, Mold, Legionnaires' Disease, Toxic Substance Exposure (environmental and industrial), Lung Diseases, Histoplasmosis, Noise (Industrial and Community) and Noise Control. Stantec has 250 offices in the US and Canada. Aviation Product Liability/Accident Investigation. Law Enforcement Special IA Admin/Program Development/Large Tactical Ops. R&D Software Development, Investigation of unaccounted for phenomenon beyond the scope or reach of law enforcement or established scientific institutions. Including missing persons, missing time, observation of UFO with some meaningful association to the interested parties I have a tam of people and a wide range of expertise in many disciplines including computer technology from 1980 to present day. 29 years in Automotive, Retail, Operations and Accounting Carl Ashton is an ASE Master Technician, Instructor of Diesel Technology, Professor of Mathematics for Automotive and Diesel Technicians, Former INC 500 CFO, CFO of Cottman Development Corporation, Director of Finance at Driven Brands Shared Services and Controller for Cottman Transmission, Expert in Store Audit, Compilation of Financial Discovery, Depositions and Trial Expert and Forensic Accounting - Floral Operations and Business Disputes for Automotive, Franchise Automotive, Body Repair Shops, Diesel Shop, business Acquisitions and purchases. AGRICULTURE - Forensic Agronomy - An association of independent consultants with experience in the fields of agronomy, entomology, crop and seed physiology, soil science, plaint nutrition, pest management and agricultural product development. Warnings, Fires & Explosions, Accident Reconstruction, Human Factors, Slip & Fall, Auto & Vehicular Accidents, Agriculture, Boats, machine safety. Dr. Robert Grayson, a marketing and management consultant, has combined 30 years of consulting, industry experience with an advertising agency and a multinational packaged goods company, with a long career teaching at a major graduate school to give him a very broad perspective on the critical contributions that marketing can make in legal cases. Noise control consulting in all areas of noise and vibration measurement, analysis, software and hardware design, noise modeling, vibration modeling, sound insulation design, installation, and measurement. Securities Fraud; Accounting Malpractice; Post Acquisition Disputes; Forensic Accounting; Fraud Investigation; Contract Disputes; Damages and Lost Profit Calculations. Former National Office Accounting and Auditing Partner at a "Big 8" CPA firm; has served as a member of the Auditing Standards Board and the FASB Emerging Issues Task Force; was the Chairman of the Professional Ethics Committee of the New York State Society of CPAs; was an adjunct professor of accounting at NYU's Stern School of Business; and has testified in a variety of cases in Federal and State Courts throughout the country. BS, MBA, CPA, CFE. Worldwide independent, professional consulting services to insurance companies, law firm, corporations and government agencies. Rimkus assists clients in the responsive and timely resolution of claims and disputes. Forensic Accounting - Valuation of Domestic Assets in divorce caes of wealthy litigations, valuation and location of hidden assets, busienss and contract disputes, damages calculations, future earnings, etc. Accounting matters, Audit failures, Cost determination, Insurance Claims, Securities fraud, Employee and labor claims, Lost profits, Damage measurement, Specialized businesses, Professional firm Valuation, National prominence in professional firm disputes. 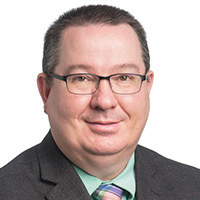 Michael D. Pakter is a Chartered Accountant, a Certified Public Account, A Certified Fraud Examiner and A Certified Insolvency and Restructing Advisor with a Certification in Distressed Business Valuation. ACCIDENT RECONSTRUCTION - Automotive/Vehicular Traffic and vehicular accident reconstruction: auto, truck, pedestrian, occupant kinematics, low speed impacts. Biomechanical engineering issues. Areas of Expertise: Polymers & Plastics; Patents; Materials Science Blow molding, packaging and packaging machinery expert witness and technical consultant, experienced in issues of personal injury and death, intellectual property and patent infringement in related technologies. Experienced in accident reconstruction. Marine accidents - Expert witness in the marine industry. Over forty-five years experience in testing, inspection, failure analysis & accident reconstruction involving consumer & commercial products, industrial & construction equipment, premises liability & investigating misuse, abuse, hazards & safety violations, including: Slip, trip & fall; Chairs, appliances, office & juvenile furniture; Playground, exercise & sports equipment; Carts, bicycles & wheelchairs; Ladders, shelves, lifts & conveyors; Machine guarding & power tools; Glass containers & glazing breakage; Gates, doors windows & hardware; Garments, textiles & fabric flammability; Burns & scalding mishaps; Children's toys & games; Automobile & truck accessories. Design & manufacturing defects; Critique instructions & warnings; Damage assessment; Patent infringements; Detailed CV & Fees available upon request. Fire Safety; fire testing; fire litigation; automotive (cars, buses, trains); electrical cables; mattresses; furniture;p insulation; interior finish; testiles; fabrics; Christmas Trees, etc. Fire origin and cause expert. Court certified expert. 28 years of expertise. Member of the California Conference of Arson Investigators, International Association of Arson Investigators. Licensed Professional Engineer: Civil engineering; hydraulics, hydrology; drainage, flooding, stormwater management; sanitary engineering; sewer lines, pump stations, wastewater treatment plants; sewer overflows; water lines, pump stations, water treatment plants, water disinfection byproducts (DBPs); defects, delay, fraud; plumbing; firewater pressure, volume, adequacy; tornado, hurricane, earthquake damage; highway geometry, intersections, street engineering, grading, earthwork; sight distance; transportation/traffic engineering; traffic accidents; traffic signals, signs; pavement marking, highway lighting; train, automobile, motorcycle, pedestrian accidents; hydroplaning; traffic accident expert testimony involving city, county, state DOTs; construction accidents; structures; foundation failure, structural damage, water intrusion; engineered product liability/defects; FAA standards; airport pavement, lighting, signing; soil expansion, contraction, settlement. ESI Provides Elite Experts in: Digital and Electronic Evidence, Computer Forensics, Cell Phone Forensics Trucking, Truck Accident Investigation and Trucking Regulations, Truck Safety Consulting, Heavy Vehicles & Hazardous Materials Sports and Fitness, Fitness Facility Standard of Care Real Estate & Land, Real Estate Syndication Bankruptcy and Corporate Governance Accident Reconstruction & Product Failure Analysis! General engineering and building contractor with background in mechanical, piping, plumbing, concrete structures, water intrusion issues and general building trades. Expert attorney marketing agency providing SEO and digital marketing for lawyers and law firms. Our experts, Eugene Bartel and Aaron Bartel, are experienced engineers who have been engaged in the scientific investigation of the various aspects of fire origin and the evaluation of electrical and mechanical accidents and water damage claims since 1968, with over 50 man-years of experience in the field.We have participated in the analysis and evaluation of more than 1,500 fires, electrical accidents and water damage claims. Our extensive background makes it unnecessary to engage one group to do the origin and cause investigation and another to do the engineering analysis of the incident - we are experienced in both aspects and have a proven track record throughout the United States. Fire Cause & Origin; Arson Defense; Fire Related Injury/Death Cases; Vehicle Fires; Explosion & Gas Fires; Building & Fire Code Research; Fire Department Operations; Fire Department Management/Labor Consulting. Over 28 years of fire dept. experience blended with 15 years of private investigations for insurance companies, attorneys and as an expert witness. Over 1,500 fires investigated. Experienced in plaintiff/defense/criminal/civil cases. Qualified in state and federal courts. Free initial phone consultation. Fire Science Degree, State Certified Fire Investigator. Forensic Toxicology - Dr. John Vasiliades, PhD, DABFT, DABCC, laboratory director and chief consultant at Toxicology Laboratories, Inc., of Omaha, Nebraska, will teach a day course in forensic toxicology for attorneys titled “Forensic Toxicology for Attorneys 2017: Alcohol, Drugs, and How to Use an Expert” in Houston, Texas. Drug and Alcohol evaluations, adult and juvenile. Expert Witness. Alcohol related issues: intoxication,blood alcohol levels, alcohol and accidents, alcoholism and other types of chemical dependency. Chemical dependency treatment, etiology, intervention. Forensic Mechanics. Master Mechanic. Mechanical explanations for vehicle accidents: Automobiles, HD Trucks, Commercial Vehicles, Buses, Motorcycles, RV\'s, Motor-homes, Construction Equipment, Race Cars. Lemon Law Matters. Michael Brasfield served as the Chief of Police for the Fort Lauderdale, Florida Police Department for 6 years. Prior to that he served for 26 years with the Seattle Police Department through the ranks - from police officer, detective, sergeant, lieutenant, captain, major, and then retired as an assistant chief. Mr. Brasfield was elected as Sheriff of Jefferson County, Washington in 2003. He was overwhelmingly re-elected to that position by an 80% majority in the November 2006 general election. Mr. Brasfield retired from active law enforcement in 2009. In addition to his prior law enforcement management career, Michael Brasfield has been active as a consultant and expert in public safety and police procedures, policy development, evaluation and training since 1986. He specializes in police legal issues. His clients have included federal, state, and municipal governments, private non-profit foundations, corporations, educational institutions, and attorneys. He holds a B.A. degree from the University of Washington, and is a graduate of the Senior Management Institute for Police in Washington, D.C.
Current pediatric and adult emergency nurse with certification in emergency nursing.28 years of clinical experience and 15 as a testifying expert.